SEO: How do I block the entire site from the search engines via robots.txt? 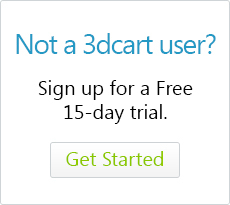 In some cases, you may need to actively prevent search engines from indexing your 3dcart store. This is typically needed when you are developing a copy of your store on 3dcart and - since it likely contains the same product information as your live store - you need to prevent the development store from being indexed to avoid information from being interpreted as "duplicate content." Then click "Save" at the top right to commit your changes. The Shared SSL .3dcartstores.com Robots.txt section at the bottom should already be set this way. However if it is not, you'll want to update it as well.